Iif you are an Uber driver tired of not having a recording to dispute claims of problematic passengers, this is what you need. This 2 camera system is a combination for our standard dash cam with 2nd Hi definition dash cam that boasts our enhanced night vision. 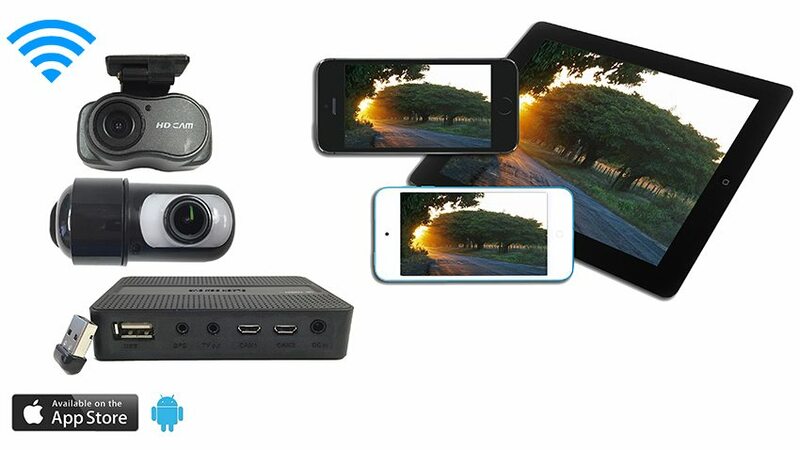 This package comes with a mini mobile DVR with Wifi capabilities so that you can download any recoding directly to your smart phone or tablet wirelessly. The mobile DVR is very easy to operate, all of the setting are on the interface for your smart phone app. We also include a free cigarette adapter to power the mobile DVR. Recently we added a new feature that will allow you to even leave the mobile DVR recording when you are away from your car and the DVR would know when to turn off before your battery gets drained. With this feature you would never have to choose between jumper cables and surveillance. 1 final feature this that this system has is a live broadcast feature to your phone or tablet, some of our customers have wanted to catch vandals in the act and we now have an effective method to monitor your vehicle when you are not in the car. To summarize in this system you get 2 dash cams with audio, one of them will have a standard lese and the other is hi definition and enhanced night vision. It includes a mobile DVR that uses standard SD cards and you can download the videos to your smartphone or tablet. Once the video is downloaded you can text or email to anyone who needs to see it. Whether you are a Lyft, Uber, or Limo driver there are endless possibilities and configurations for this system.